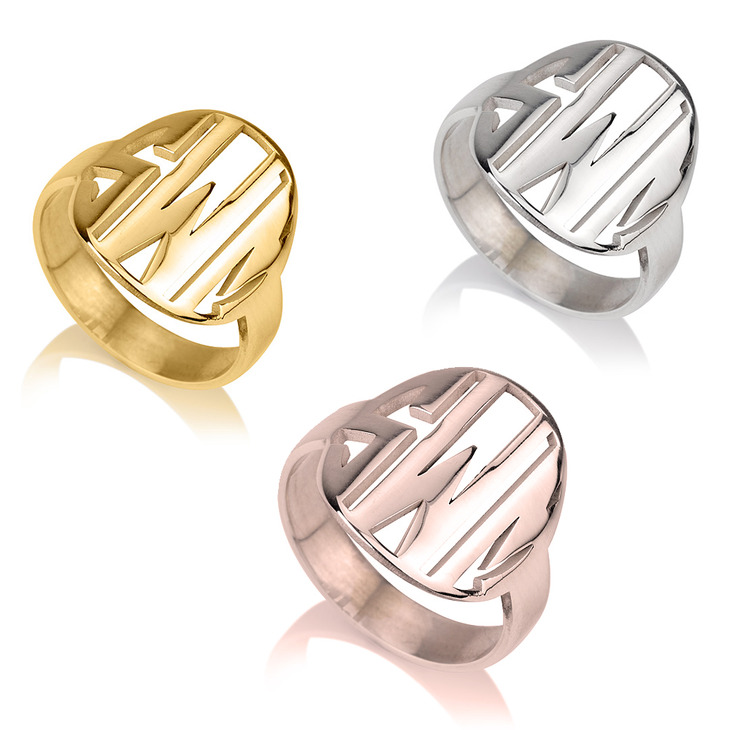 If you've been looking for that special accessory to add to your collection, a cut out block monogram ring is just what you've been looking for, perfectly personalized with any initials and plated in your choice of rose gold or 24K gold, or our finest quality sterling silver cut out block monogram ring. 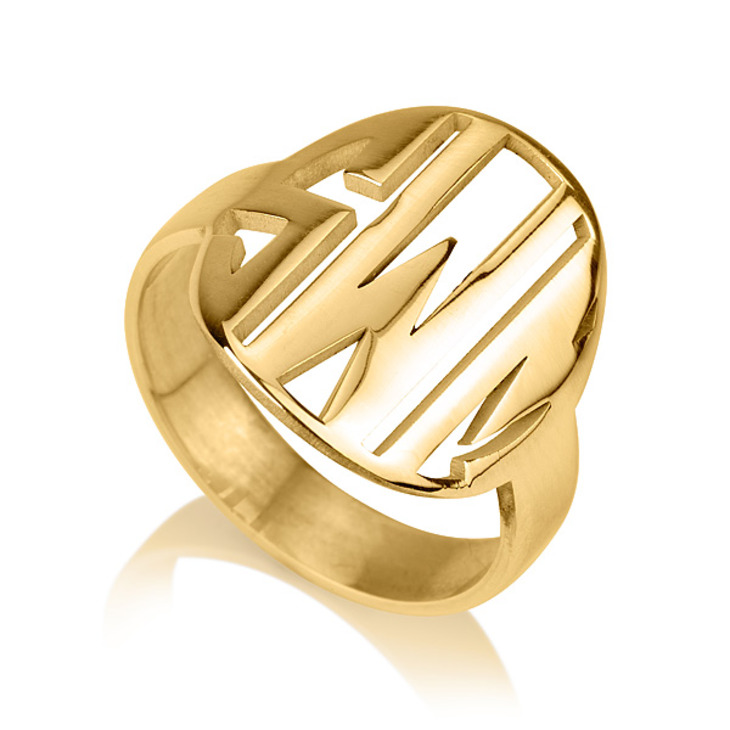 You'll fall in love with this subtly chic piece, tastefully customized to bring out your best style. Treat yourself to this stunning piece, or purchase for someone special today. Enjoy free shipping worldwide!